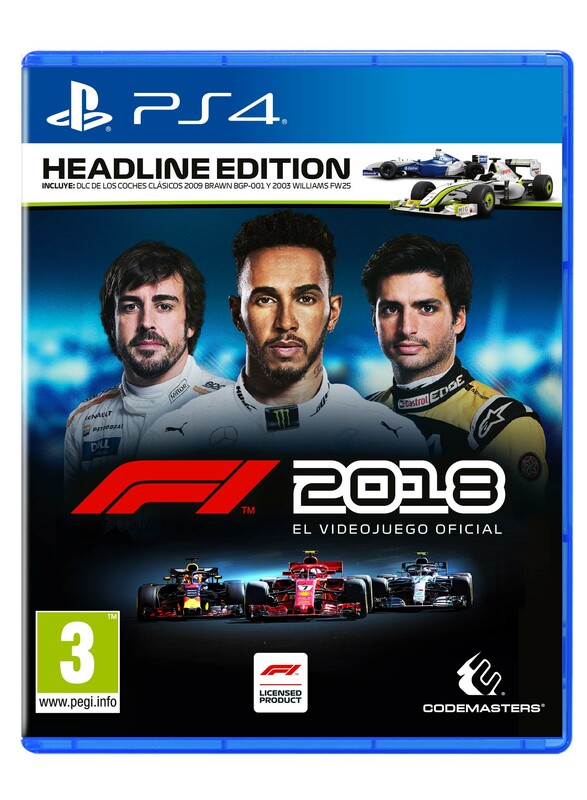 It’s finally time to reveal F1® 2018’s game covers to the world! 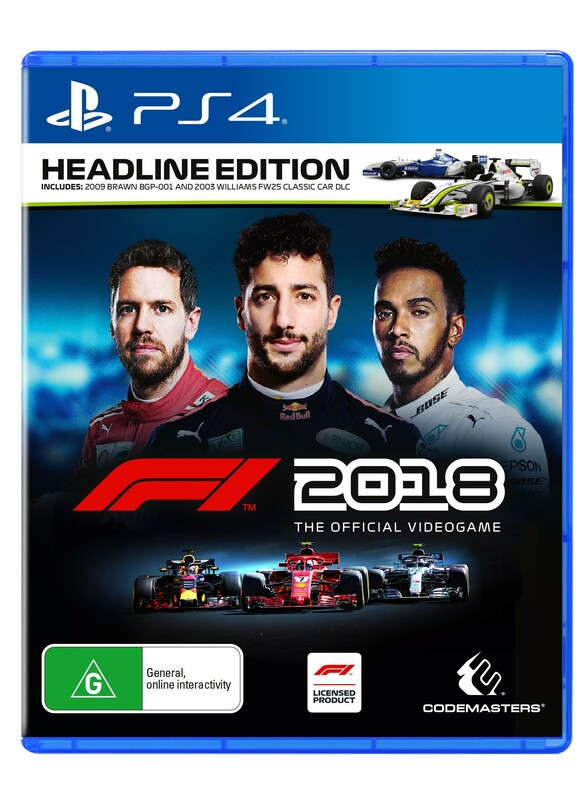 F1 2018 is all about making headlines, and this is very much the theme for this year. Expanding on last year, where we had different artwork for Australia, the Americas, and the Netherlands/Belgium/Luxembourg, as well our main cover art, we now have different driver line-up versions for Australia, Germany, France, Spain, Netherlands/Belgium/Luxembourg and Mexico, alongside our main cover art for this year. Some of you eagle-eyed fans will have noticed out in the wild already, but we think it’s so good you deserve to see it again – plus all of the other versions that will be available around the globe. 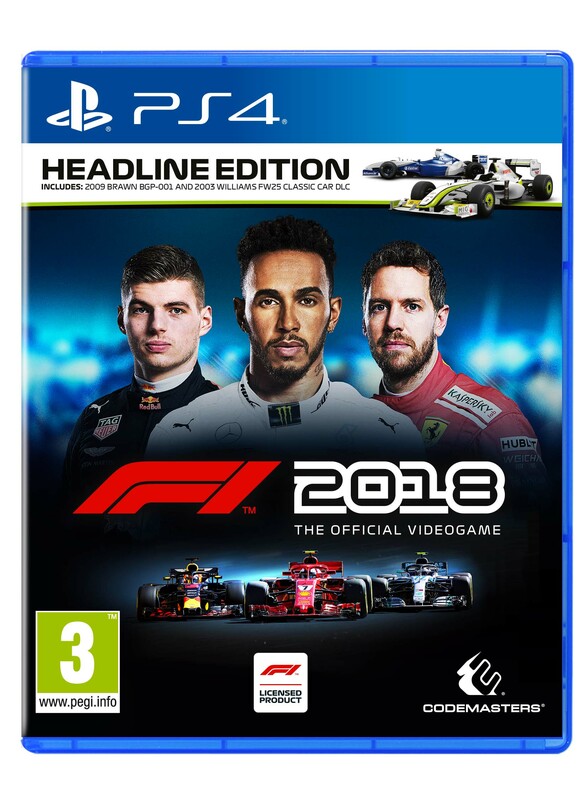 The Headline Edition of F1 2018 contains the 2009 Brawn BGP-001 and the 2003 Williams FW25 Classic Car DLC, and is available to pre-order here. 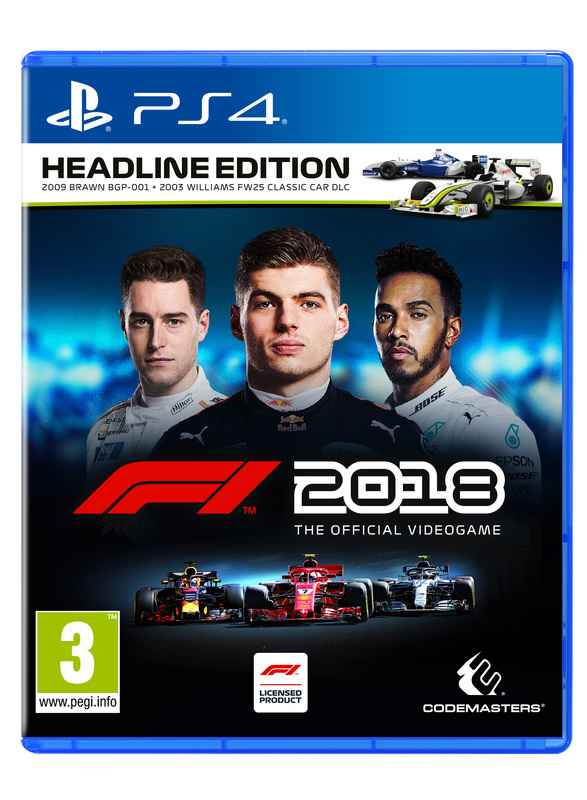 Introducing our main cover art for F1 2018, which features Max Verstappen, Lewis Hamilton and Sebastian Vettel. Are you in Germany? 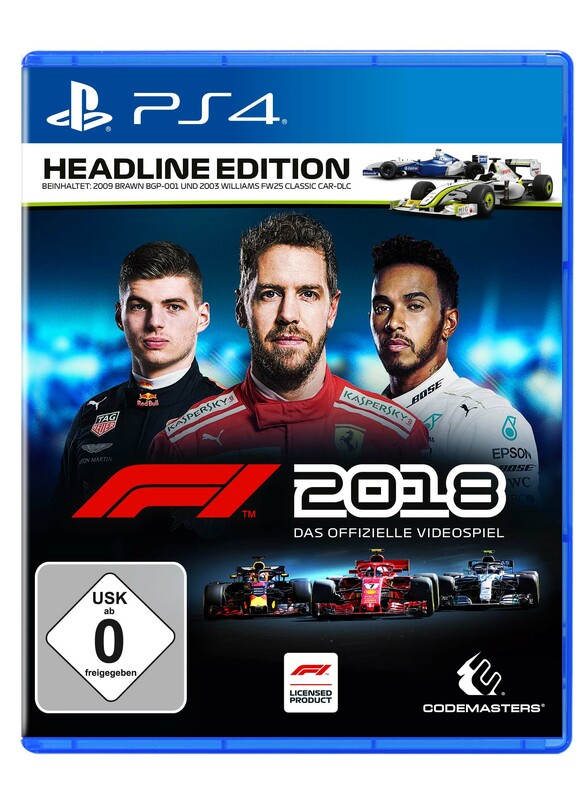 The German cover art features Max Verstappen, Sebastian Vettel in the centre and Lewis Hamilton. Our Australia/New Zealand cover features Sebastian Vettel, Daniel Ricciardo and Lewis Hamilton. Our French cover art features Romain Grosjean, Lewis Hamilton and Pierre Gasly. Fernando Alonso, Lewis Hamilton and Carlos Sainz feature on our Spain cover art. 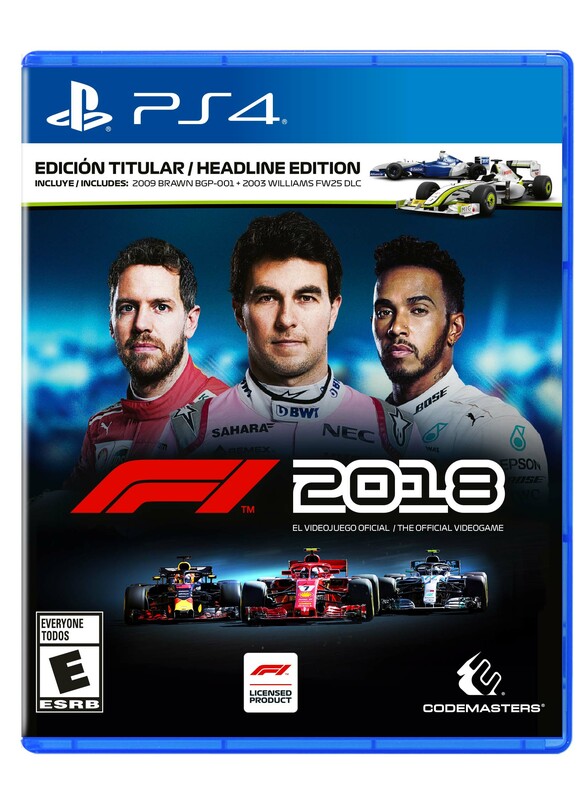 And if you’re in Mexico, Sebastian Vettel, Sergio Perez and Lewis Hamilton feature on your cover. We’re very proud of this year’s cover art – we think it’s our best yet!